Warren Evans, CSP, HoF, Global Speaker Fellow was a leading figure in the meetings industry and especially within our own CAPS extended family. With the strong support of a few others, he provided the initiative and guidance for the creation of our national association. He provided a voice for CAPS in the early stages of the International Federation for Professional Speakers (now the GSF) and was instrumental in getting the global association up and running. He spoke on stages throughout the world for more than 37 years and was a favorite of meeting planners and executives for his insight on change and organizational development. His most popular keynote, “Where In The World Is The World Going?” was fully researched for each individual presentation and he proved to have an amazingly accurate ability to almost predict the future, making him a very popular speaker on almost any program. 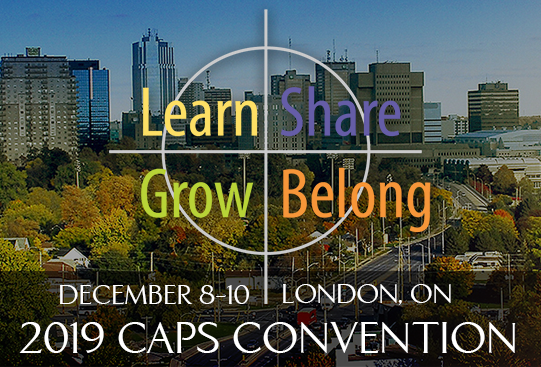 Warren was personally involved in coaching more than 175 of our CAPS members on stage presentation skills as well as many more from other countries who came to Canada for similar training. His leadership in raising money for research into Huntington’s Disease brought together the international speaking community in an unprecedented show of financial and emotional support. He leaves behind an encouraging legacy and model for our industry as well as countless friends and associates. I was fortunate to be his friend for more than 37 years and will cherish memories of happy times we shared. For the past few years he and his wife, Susan, traveled and worked together as a team and I watched how happy he was during this time. We have all been fortunate to have known Warren — his time ended too soon but his legacy will live on as an inspiration to us all. Warren Evans, CSP, HoF, Global Speaker Fellow, was not only a brilliant international speaker, he was also a complete professional, inspirational fundraiser, and devoted family man. He had a talent for bringing people together to achieve greatness and was the founding president and inspiration behind the Global Speakers Federation where he brought together professional speaking bodies around the world. He was beloved by conference organizers and event planners of his meticulous preparation, superb delivery, and attention to detail. If he was on the program at an event, he was often the most popular speaker with both the audience and the organizer. Warren was much more than the complete professional speaker. He also coached and encouraged aspiring speakers to achieve more than they thought possible through the boot camps he ran with his lifetime friend Kit Grant. He set up and led a global charity, Laura’s Hope, accelerating clinical trials for treatments for Huntington’s Disease. His top priority, of course, was his family, especially his wife, Susan Luke-Evans, CSP, who was a rock of support. Warren’s legacy is local, national and global. It is unlikely that anyone else will have had such influence on the organization of the speaking profession. All around the world, his words of wisdom will ring in our ears forever.